m2 Photography has the ability to help you with updating your website to a new and fresh design. I use Joomla content management system for the back-end, which allows you to update your own content. I don't agree with web hosting companies holding you hostage and forcing you to use their services to update content. 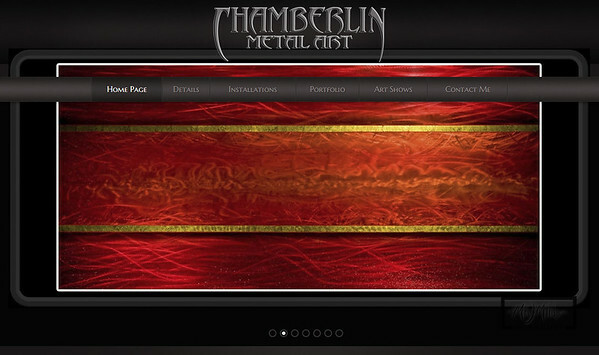 I recently finished a total overhaul of the Mike Chamberlin Metal Art website using Joomla. This specific site was designed to showcase Mike's amazing artwork on the web. 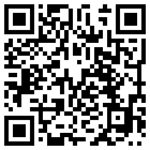 If you're interested in a website makeover, contact Mike at m2 Photography. After using the booth at the Consumers Credit Union Awards night earlier this year, I thought it would be wise to create a website to promote the booth for future events. m2 Photography constructed the photo booth for a New Year's eve wedding in 2011. The booth was a big hit, and I've decided to offer it as a rental for other weddings and events. The m2 Photo Booth is an "open-air" style booth which accommodates small and large groups. 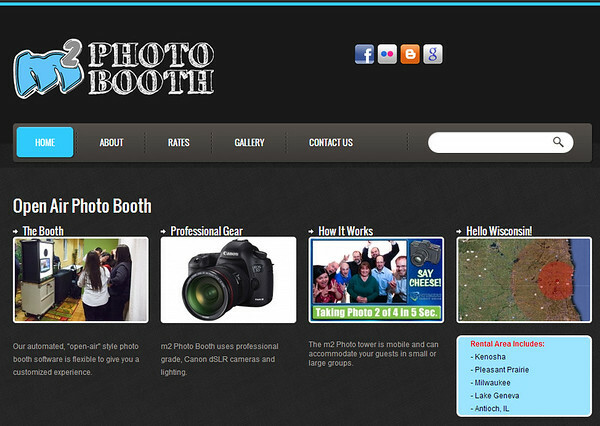 The booth rental is available in Southeastern Wisconsin, but I will travel as far as Madison or Milwaukee. For more information, visit www.m2-booth.com.